Keyword Forensics: Discovering keyword variations associated with a root word. 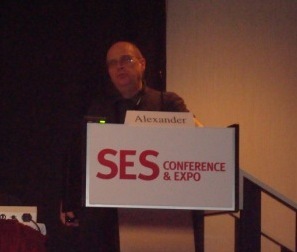 According to Alexander, keyword forensics does not begin with any assumptions. The purpose is to uncover how people search. Challenge: One of the challenges one encounters when researching user behavior for most people is the need to lose the “keyword hunt mindset”. The more you tend to guess at the most logical keywords, the less likely you are to find exactly what phrases people are actually searching. Wordtracker is Alexander’s weapon of choice for keyword forensics. Here’s a little Wordtracker 101. Keyword Effectiveness (KEI): The higher the number here, the better. Use this metric to identify popular keyword phrases with little competition. In Anchor and Title: Count of the number of pages for which the exact keyword phrase appears in both the title tag and as anchor text on the page. 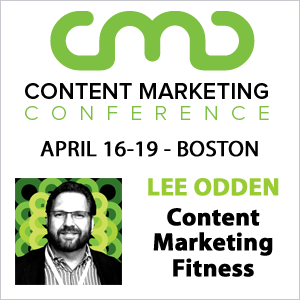 This metric gives you an understanding of what kind of keyword focused content needs to be generated to achieve a quality search engine rank. A person searching for baby names=diaper purchasing prospect. A brand doesn’t need to sell baby names (although that would be an interesting business model!) in order to provide relevant content. Imagine a diaper company that aggregates all common and uncommon baby names on one site. People searching for baby names, i.e. likely parents to-be, will be introduced to the brand in an organic manner. The diaper brand can then provide special offers or relevant links to visitors so they can learn more about the products or receive discounted pricing. To wrap up the session in a nutshell, Alexander takes a very creative approach to keyword discovery and encourages others to do the same. Put even more succinctly, SEOs should discover keywords and not assume them. If you’re in need, here’s a list of keyword research tools you might find useful. Stay tuned for more posts from SES Toronto. Follow @TopRank and #sesto on Twitter for real time updates. Your approach about understand the behavior of the user is a very good one. People can search for companies at different stages in their product knowledge. Somebody just beginning to search for good dining room furniture may use certain key words. While somebody who has had experience in dining room furniture but looking for some place new, may use completely different wording. Killer concept with keyword forensics. What you are saying makes perfect sense. Thanks for the tip! Thanks, Rex! Although this type of approach is one we embrace at TopRank, I need to credit John Alexander for providing the meat of this post. I can tell you that the session was filled with a lot of “ah hah!” moments from audience members. Great concept, and it goes completely against what a lot of people teach about keyword research. Most tell you to write a list of keywords down, then try and drill down even further on each keyword by adding modifiers (color, size, etc.). All this does is give you a list of keywords YOU would use to find your site, not necessarily what others would use. The point of keyword research is to be where the people are searching, not where you think they should be searching.